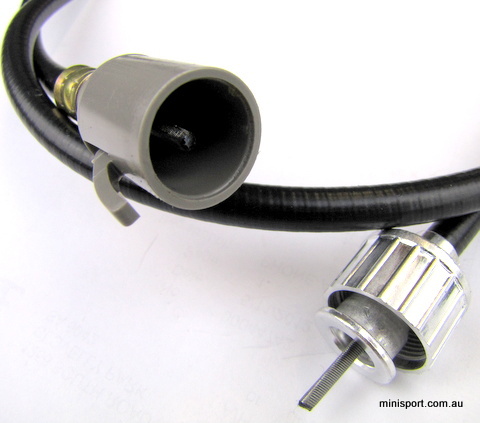 Speed Clocks On Mini Remove Speedo Cable? If it's like the one below then push the bit in thats sticking out and pull it. Does anyone have a suggestion how i can remove my speedo canle from the clock? Theres a white locking piece and unsure how this disconnects please can someone help me? Thank you for your reply, mine is similar but white but i will try and have ago with push and pull. Edited by willjones444, 04 January 2015 - 09:58 AM. I think I broke mine trying to remove it so be careful. If in doubt, break it off and fit new. Squeeze the White thing at the points where it allows the 'prong' in it to disengage the metal part underneath, then pull.